When it comes to lacing up a fresh pair of Timberland 6 inch boots, I’m very specific about it. If your lacing technique is sloppy then it’ll throw off the whole look of the boots. My preferred style is to lace my Timbs with an over and under technique. This shows off more of the laces and gives off an overall clean and symmetric look. I also always tie the laces after the 3rd to last lace loop, this leaves you with the perfect amount of lace to tie a good knot. The over and under technique is perfect for the premium 6 inch wheat Timbs because I like to dress them up with a simple menswear look. If I’m wearing a pair of colorful, more bold 6 inch Timbs, I actually like to lace them differently. For bold colors I like to skip every other lace loop, showing off a more stylish pattern, it gives off a more edgy look, and compliments colorful boots better. Fellas, looking for more tips on how to cuff your pants with your Timberland footwear? Check out this post by @bluecollarprep. We teamed up with Eric Wertz of Blue Collar Prep for expert advice on how to style your pant cuffs with any shoe in your collection. You asked, and we delivered! 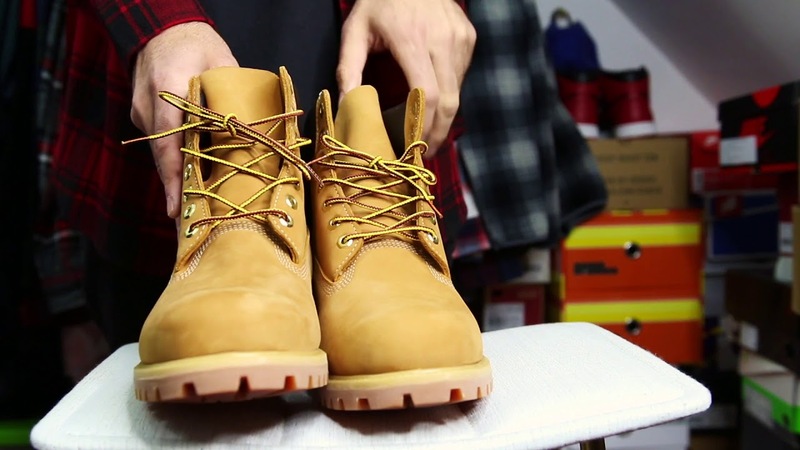 Check out these videos for the best way to clean and protect your favorite Timberland® gear. Going green this Earth Day can simply start with your own closet. We surveyed 1,000 people to see how they take the environmental impact of their style choices into account when shopping.